Welcome 15874 Anjou Ln, a gorgeous upgraded home sitting on a large lot with breathtaking panoramic views. Featuring 4 bedrooms, 4 bathrooms + office and approx. 2,924 sq ft of living space. Downstairs features Sound-Tech floating planks near entrance, full bed and bath, double stacking pocket doors to covered patio. Gourmet chefs kitchen includes beautiful dark wood kitchen with quartz counters, a large island, upgraded light, walk-in pantry. Upstairs showcases a loft w/ custom built ins, a luxurious master suite and walk in closet. 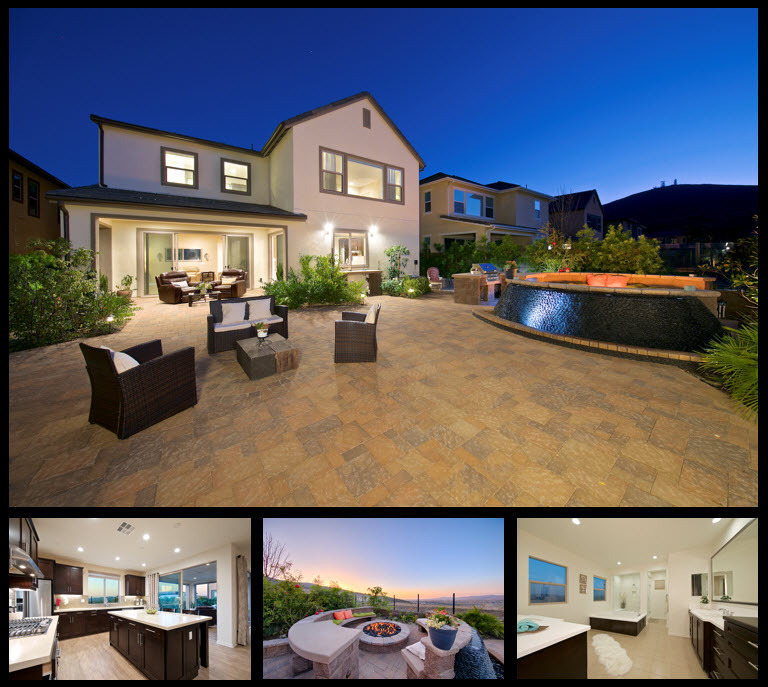 Out back find an entertainer’s dream, with a spacious private backyard with custom outdoor stone seating, firepit, waterfall and LED light features, stunning paver blocks, built-in BBQ, sink table and breathtaking panoramic views. Also included is a 2 car garage with epoxy floor. The open space by the backyard is a protected space for rare species of plants and its not planned for future development. Zoned to the acclaimed Poway Unified School District, convenient access to major freeways including the I-15 and SR-56, shopping, parks and beach.